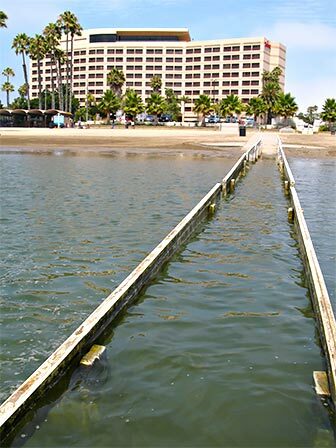 Beach Wheelchairs - are available for use at several beaches in Los Angeles, including beaches in Malibu, Santa Monica, near LAX airport and in the South Bay areas. The chairs are equipped with wide tires that can traverse sandy beaches. The chairs are available through lifeguards or kiosks at the parking lot entrance. The website has a list of beaches where wheelchairs are available and phone numbers you can call for information. Wheelchair Rider's Guide - for coastal areas of Califoirnia. Two guides are available for download near the bottom of the page. One is for Los Angeles and Orange County, and the other for areas in northern California. The L.A. guide is available as an online interactive map. The guides are a bit old (2001) although not really outdated since they refer to bicycle paths that still exist. 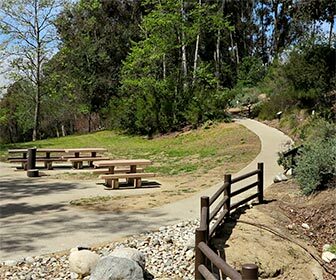 Santa Monica Mountains - Many sites are accessible to some degree, but please call (805) 370-2301 to confirm. The National Park Visitor Center in Thousand Oaks and the Satwiwa Culture Center are fully accessible. Both of these centers have accessible exhibits. 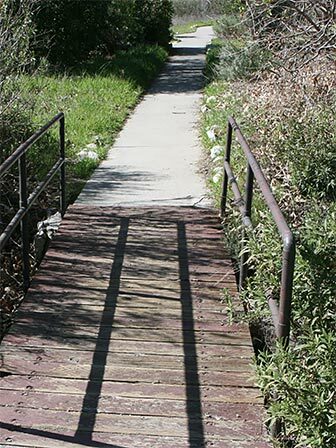 Hiking Trails - Maps and descriptions of some wheelchair accessible hiking trails in Southern California. Nature Centers - Most of the listings in the Nature Centers section have a phone number to call if their website doesn't have the info you need.